December 19, 2014 – ENGEO was proud to donate their time and services for this genuine tribute to our veterans. We prepared a Geotechnical exploration update, performed pad compaction tests and provided a pad letter for Pulte. 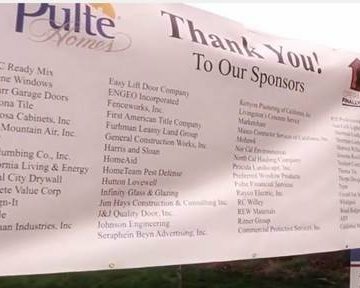 We thank Pulte for the opportunity to be a part of this effort. We invite you to watch the heartwarming video. From Fox 40 News: Two Elk Grove veterans were got the surprise of their lives Wednesday – keys to their brand new homes. Army Specialist Derrick Winchell and Coast Guard Petty Officer Michael Hard thought they were going to an interview about a home donation program. Instead, they were each given a brand new, fully-furnished, mortgage-free home – complete with a Christmas tree with gifts underneath. “Just how unreal this whole experience. How impossible this was to begin with, and how it has become a possibility. It’s just amazing,” Winchell told reporters. 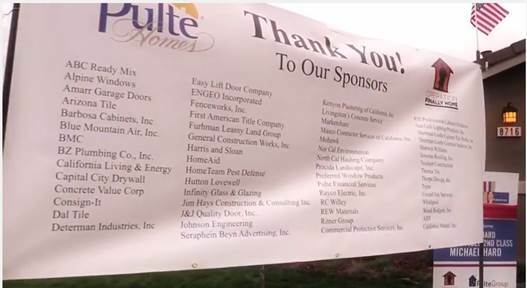 Home donations were organized by Pulte Homes and Operation: Built To Honor. The two in Elk Grove are out of 20 homes the organizations gave to injured vets across the country.